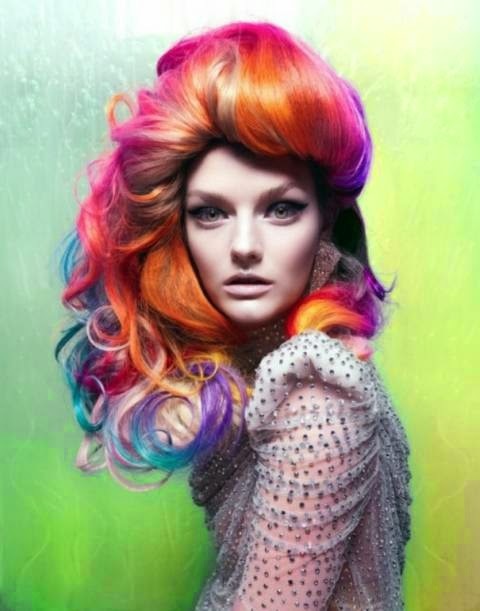 Fashion Colors, in the hair industry refers to artificial hair colors that are vibrant and are not found naturally. Cherry Red, Purple, Blue, Canary Yellow, and Pink are all Fashion Colors. There are several brands, care instructions and other things but I am going to try to break down these colors for you right here. You can not put a vibrant blue color on brown hair and get vibrant blue. You will end up with a blue-black-brown mess. You have to lighten your hair first. Going blonder, or even platinum will allow your color to have the vibrancy it needs. I urge you to do this step in a salon! Even if I can convince you to do the rest there! Manic Panic and Splat are the two best selling brands in regards to fashion hair colors. I do not recommend them. I prefer Pravana Vivids. It is a Salon only brand, although you can purchase the color on Amazon. It does not need developer and the color always looks amazing! It is longer lasting, works faster, more vivid, and has better ingredients than Splat or Manic Panic. When it comes to fashion colors after care I insist on one shampoo and conditioning set only. Yes it's pricier, but it's worth it. 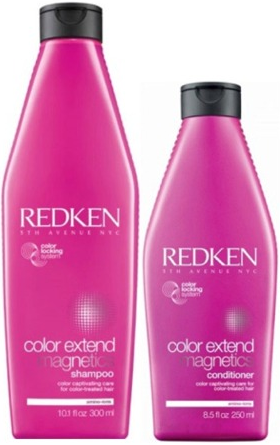 Redken Color Extend Magnetics is sulfate free and amazing! I have never seen a shampoo that works better on color treated hair. Click HERE to get a full review on this product! In short if you prep your hair professionally, use the right brand, and buy a great shampoo then your vivids will stay vivid for a lot longer, and you'll notice a difference!